Our 1000F Sprinkler Stand & 3/4" x 75 ft Hose Kit, packaged and ready to ship! 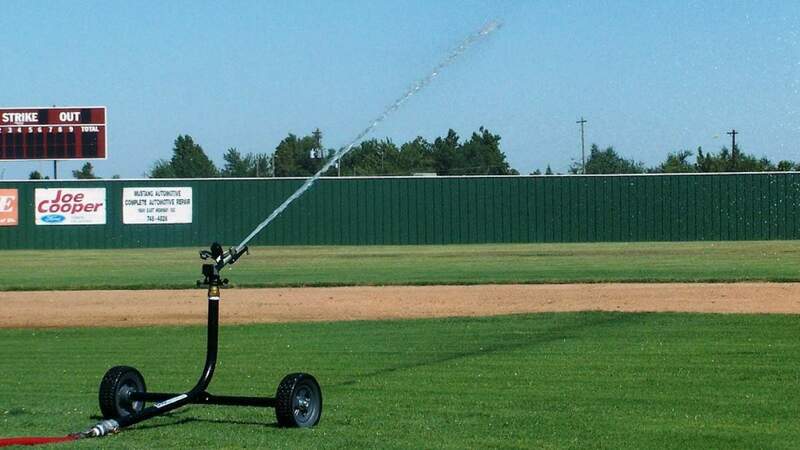 The 1000F-Heavy duty sprinkler cart with wheels is constructed of 1” heavy gauge steel pipe with solid 1.5" steel axle for weight and durable "baked on" powder coat finish. 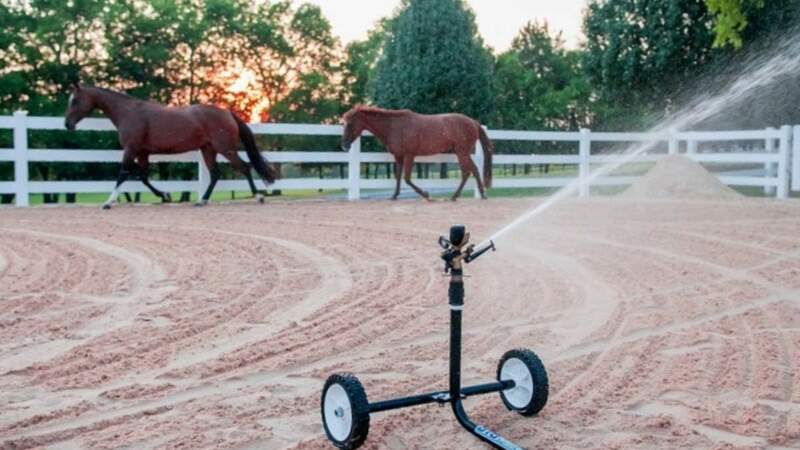 It also comes standard with a ¾” brass garden hose swivel and commercial grade Sime model "Funny" impact style sprinkler. 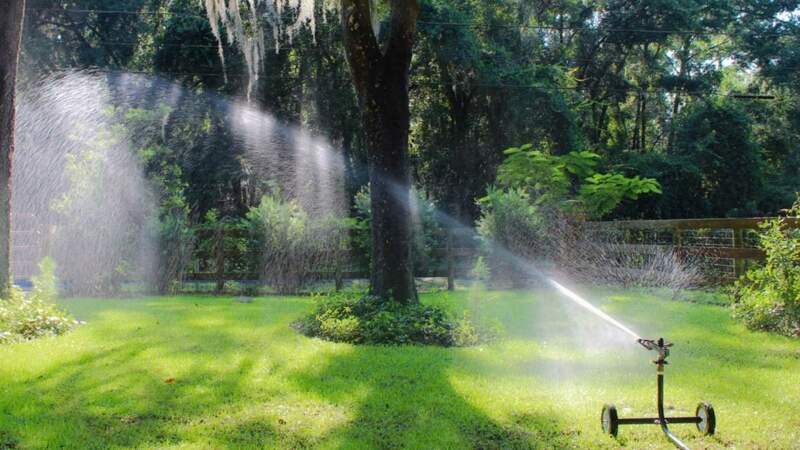 The sprinkler can be set to a full or part circle spray patterns with coverages up to 120 feet in diameter!! The sprinkler also includes 5 nozzle sizes (A performance chart may be viewed at bottom of the page). 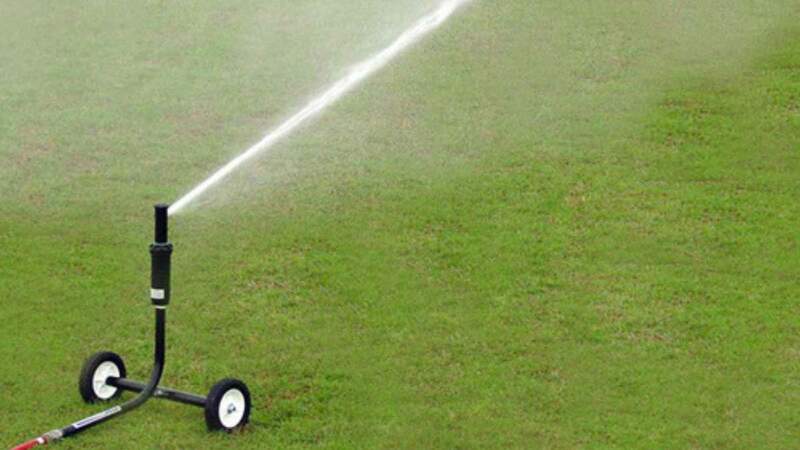 Furthermore, the package includes our heavy duty 3/4" x 75 ft. Apex garden hose. 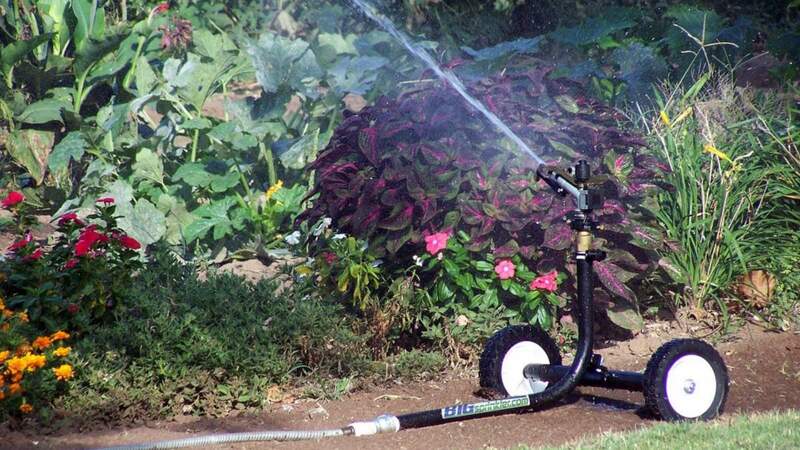 This sprinkler and hose combination will have you hooked up and watering in minutes, everything you need is included!